Did This Discovery Just Disprove the Paleo Diet? When the food doesn't travel far, it's fresh and at the peak of its flavor. 4 Did This Discovery Just Disprove the Paleo Diet? The farm-to-table philosophy embraces a sustainable approach to agriculture and dining. At its heart, the concept is simple: there is value in eating locally. The movement, which picked up speed during the first decade of the 21st century, touts the benefits reaped by those who both produce and consume local food -- as well as the environment as a whole. A “locavore” makes a conscious effort to eat food produced locally. A commonly accepted rule of thumb establishes "local" as within a 100-mile radius of your home. Local food champions say it tastes better, retains more nutrients and puts less stress on the environment. Harvested right before sale, local food does not require life-extending chemicals to preserve it during lengthy transport. Farm-to-table restaurants take on the locavore mentality as a guiding principle. These establishments partner with nearby farms and food producers to offer diners an ever-changing menu with a strong community connection. Eating locally means eating seasonally. Farm-to-table restaurants in the Northeast, for example, serve asparagus only for a few weeks in spring during the local harvest. On the other hand, California’s more moderate climate offers chefs an array of produce year-round. Farm-to-table restaurants are understandably popular on the West Coast but are also growing in numbers across the country. The seasonality component encourages chefs and consumers to savor fruits and vegetables at their prime. Fresher seasonal vegetables and fruits retain higher levels of nutrients, which can be lost during lengthy storage or transport times. Produce shipped across long distances often get picked unripe -- before the nutrients fully develop -- to accommodate the required shelf life. 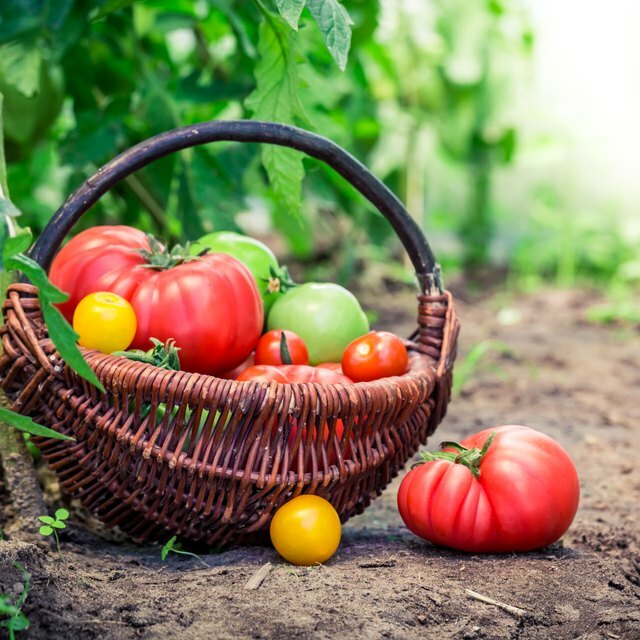 Some items, such as tomatoes, get treated with ethylene gas, which activates an artificial ripening. As a whole, the food industry consumes great amounts of fossil fuels in both producing and shipping items. Factories and other resource-demanding inputs generate a considerable amount of pollution. The farm-to-table movement does its part by keeping food in the area in which it was grown or produced. This reduces the carbon footprint of restaurants and individuals who buy local and also has a positive impact on the local economy. By cutting out wholesalers, the farm-to-table concept puts money directly into the farmer's hand. The farm-to-table concept encourages you to “know thy farmer.” Rather than buying a faceless brand of sugar snap peas at the supermarket, a farm-to-table chef likely visited the land where the peas were grown. The produce might even come from the restaurant’s own land -- or roof. It is through the connection to the land, and the people who work the land, that the farm-to-table movement comes full circle. By taking lessons from the ways in which communities historically sourced and consumed food, and adapting those lessons to modern times, the philosophy provides a sustainable outlook for the future of food. Culinary Schools.com: What Is the Farm-to-Table Movement? Based in New York, Tiff Coe has been writing as part of her professional life for over nine years. She holds a Master of Business Administration from NYU Stern, and her work has appeared on Shift Media's website. Currently a marketing professional for a B2B media property, Coe prepares proposals and sales copy with great regularity. Are Pickled Vegetables Allowed on a Raw Diet? What Are the Benefits of the Paleo Diet?